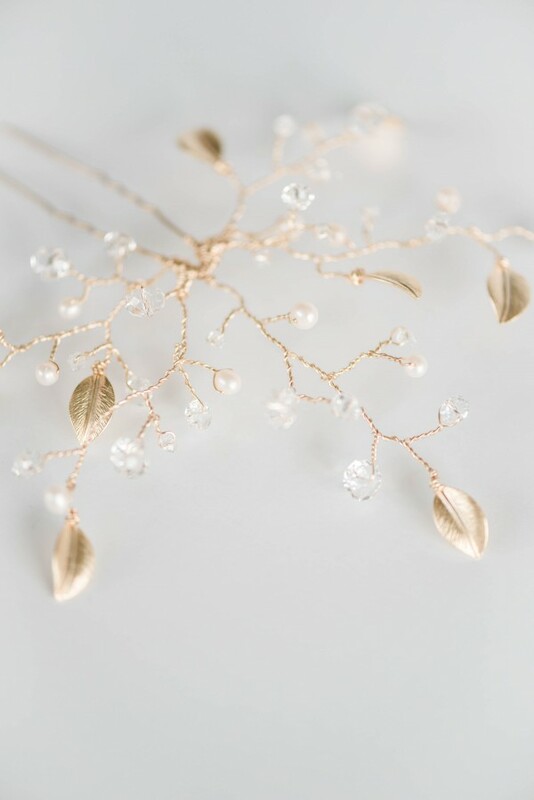 One of my greatest joys as a jewelry designer has been having the chance to contribute to the weddings of friends & family in a very personal, tangible way. 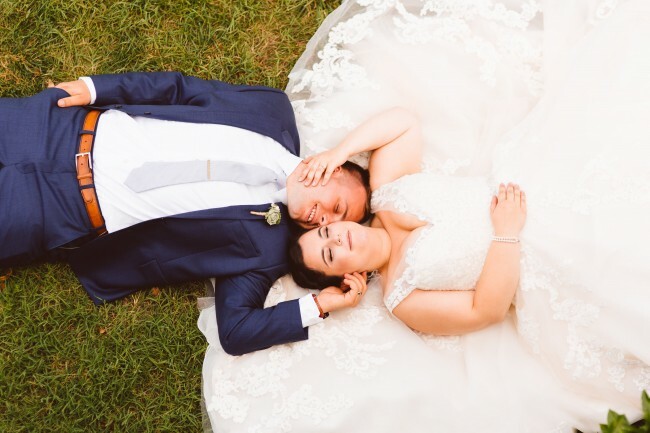 Olivia and Anthony have been friends of ours for years, and we’ve had the pleasure of watching their relationship grow from high school sweethearts to the young adult newlyweds they are today. 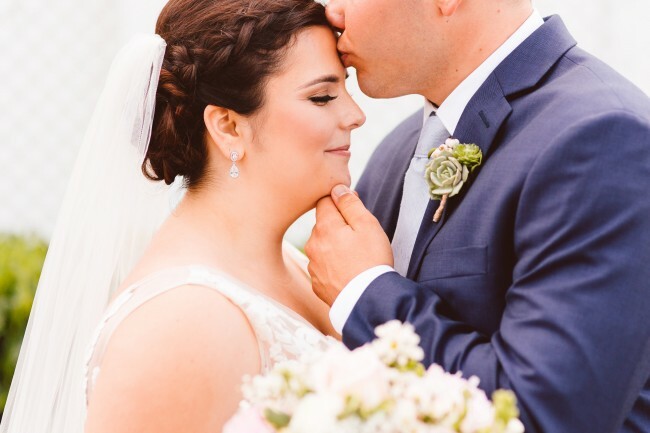 The way these two adore each other is evident in every picture from their wedding day, and the jewelry I designed for Olivia was just icing on the cake of their beautiful love. 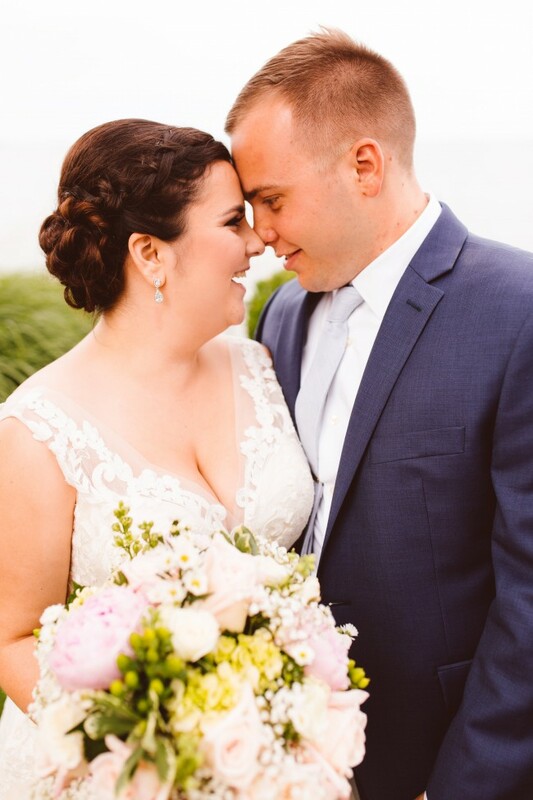 It was my great honor to design custom wedding jewelry for Olivia + Anthony on their special day! 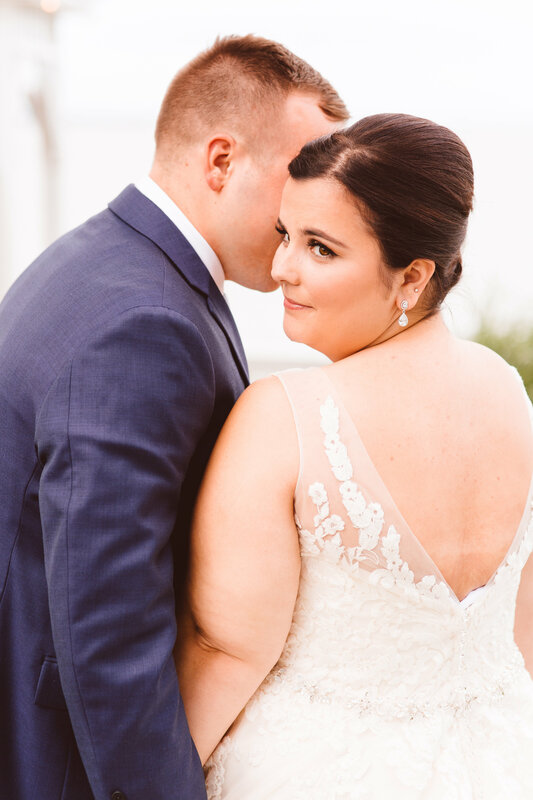 Olivia chose the Oval and Teardrop Bridal Earrings from our pre-designed couture jewelry collection to wear to her wedding at Celebrations by the Bay on Maryland’s Eastern Shore. 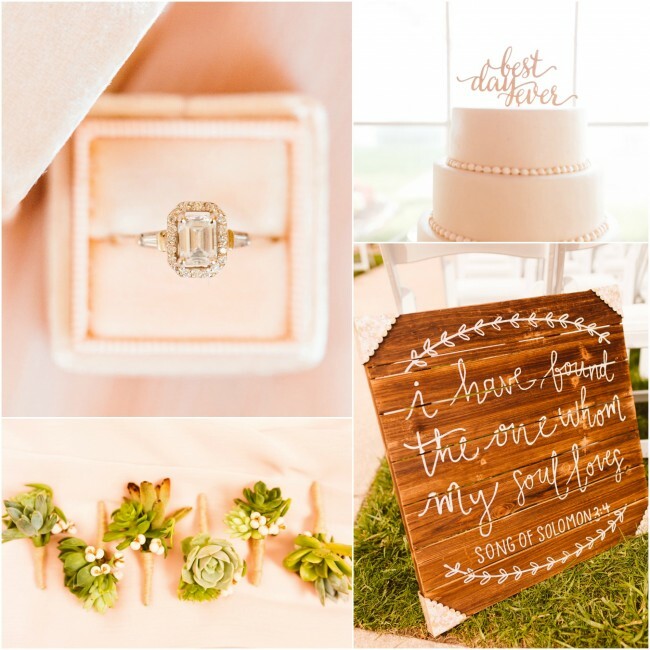 The earrings were a perfect complement to her engagement ring, which features an emerald cut diamond from Anthony’s grandmother’s wedding ring. 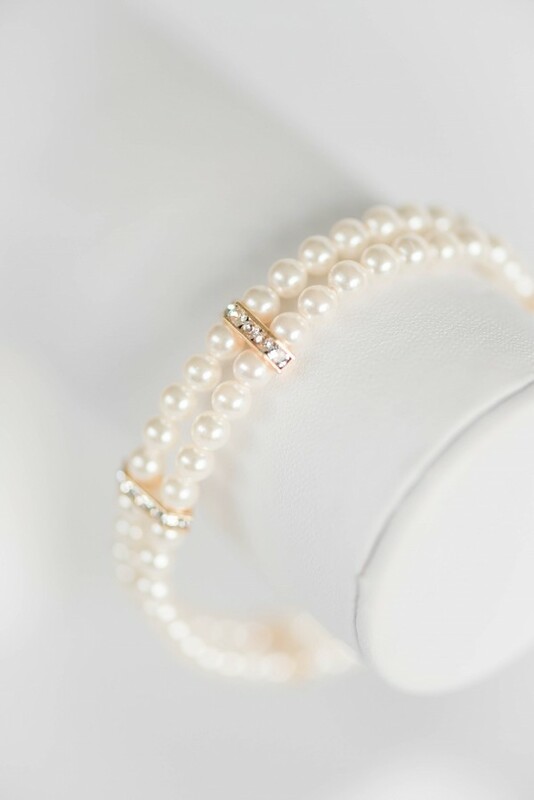 We completed her look with an adapted version of our Something Old Pearl Bracelet, using sterling silver rather than reclaimed gold metal elements. 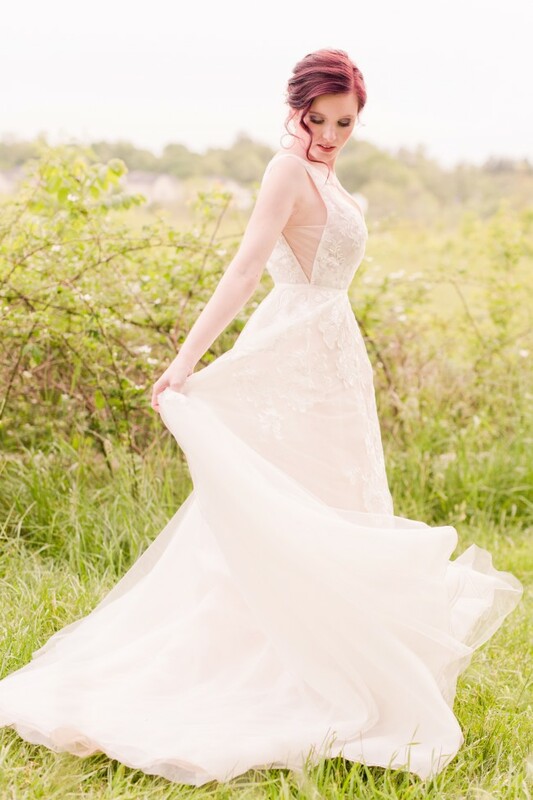 The result was even more lovely than I could have imagined! 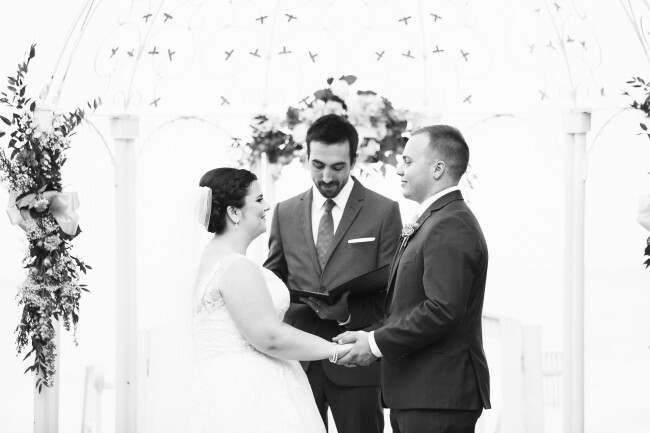 Congratulations to Olivia and Anthony, and thank you for allowing us to be a part of your special day! 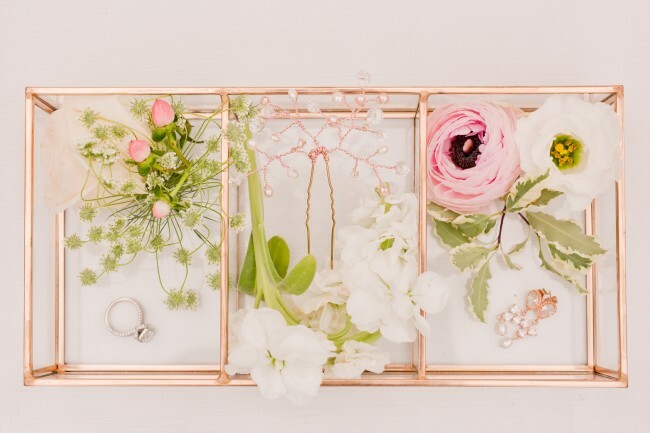 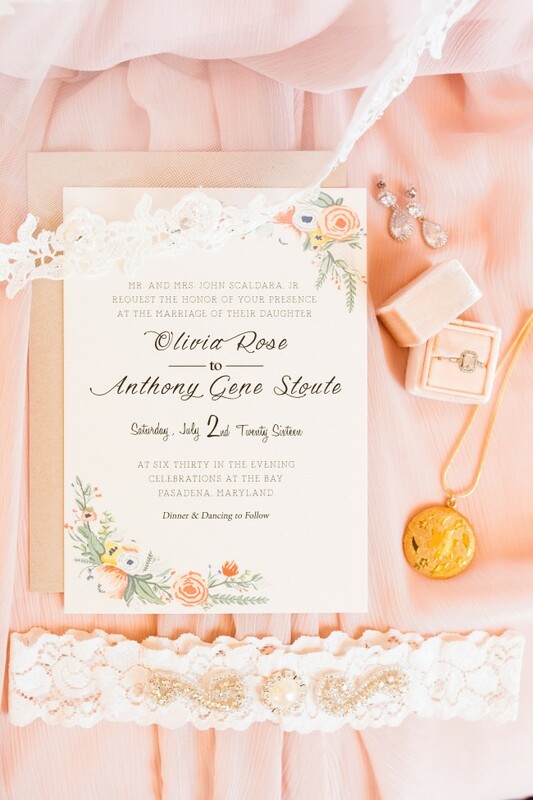 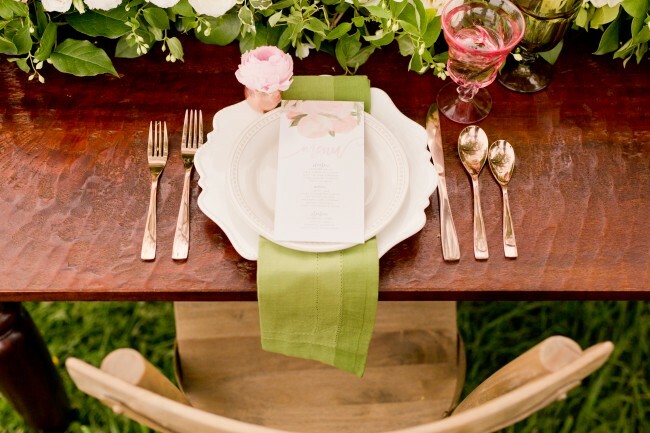 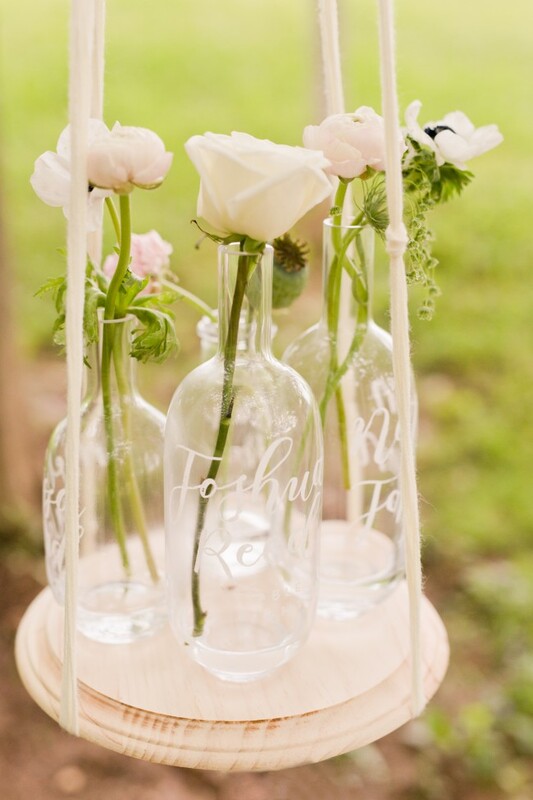 Post update: Our rose gold and blush wedding inspiration has been featured by The Perfect Palette! 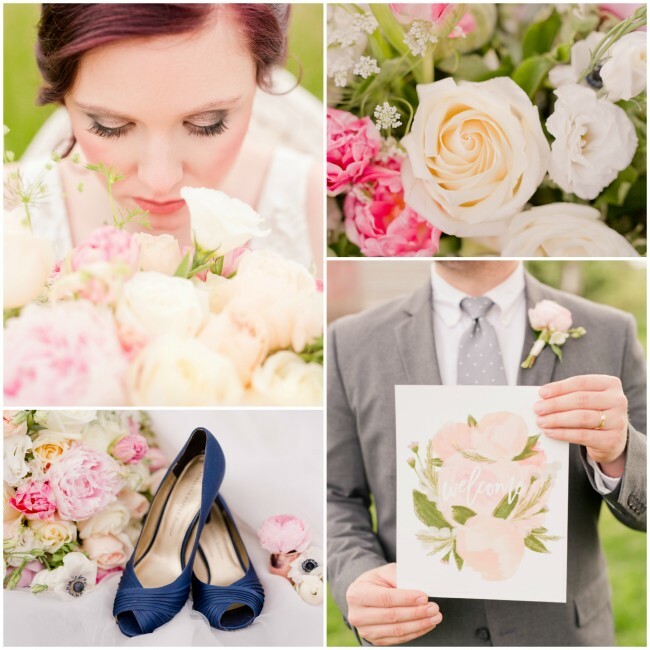 With autumn’s “official” arrival, we’re taking a sentimental look back at one of our prettiest styled shoots of the summer. 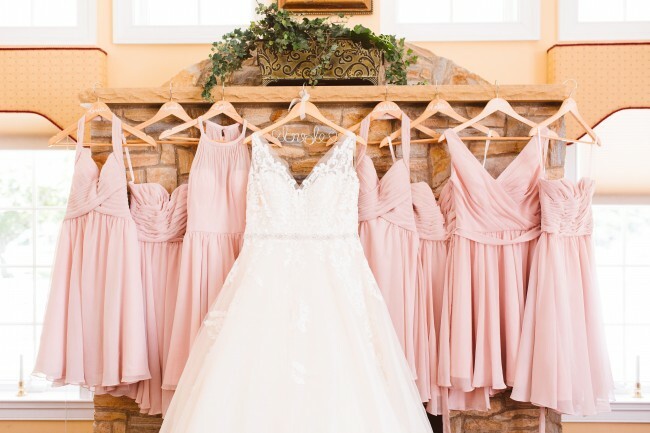 Rose gold, pink, blush, ivory, and copper set a romantic, feminine tone for this editorial shoot we created on the scenic grounds of the Howard County Conservancy. 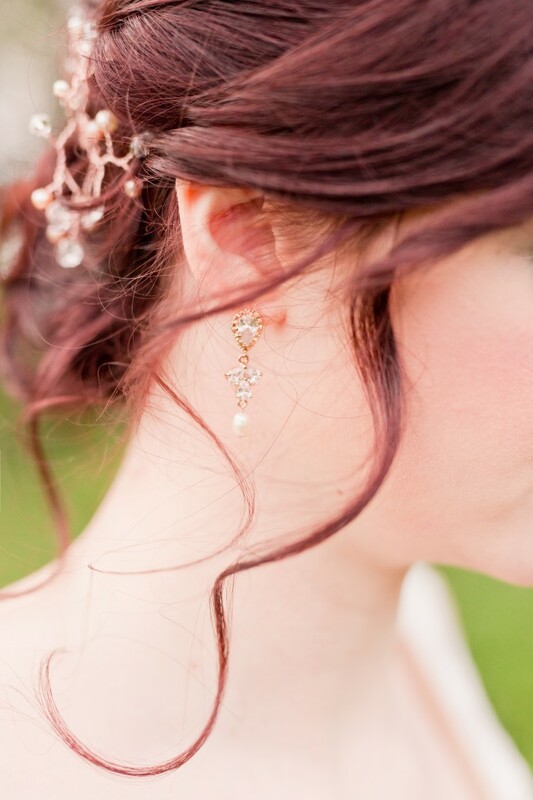 The bride’s vibrant red hair added an additional layer of depth to the color scheme. 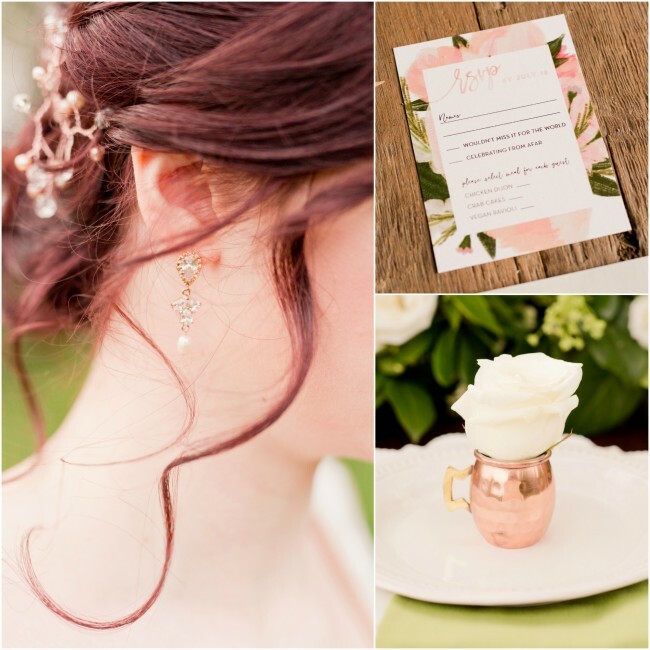 Enjoy this gallery of our favorite shots, and look for more rose gold hair accessories in our next collection! 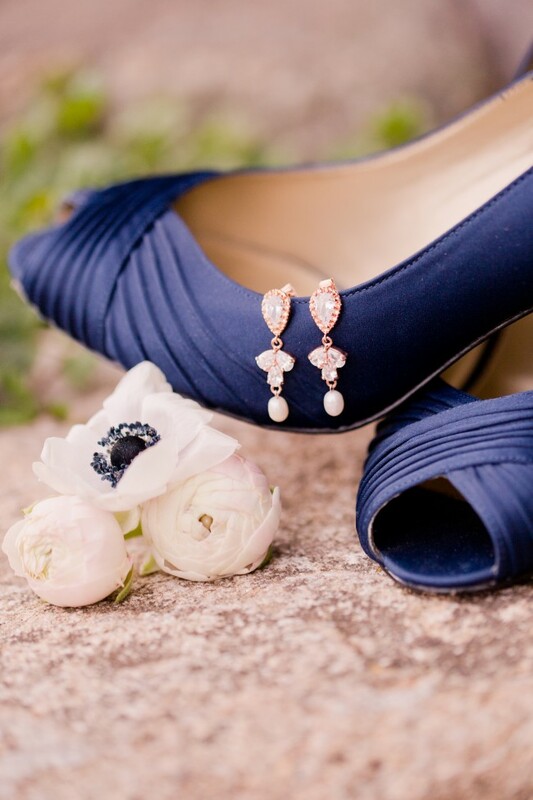 This summer has been the best one for J’Adorn Designs yet. 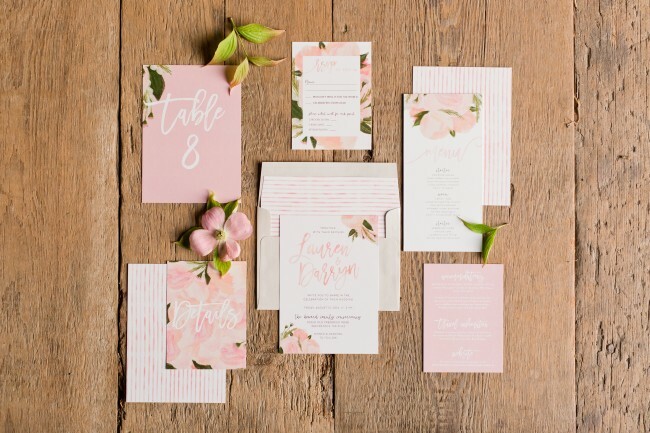 This is because I’ve had record breaking numbers of custom designs, and each suite of accessories seems to be even more beautiful than the last. 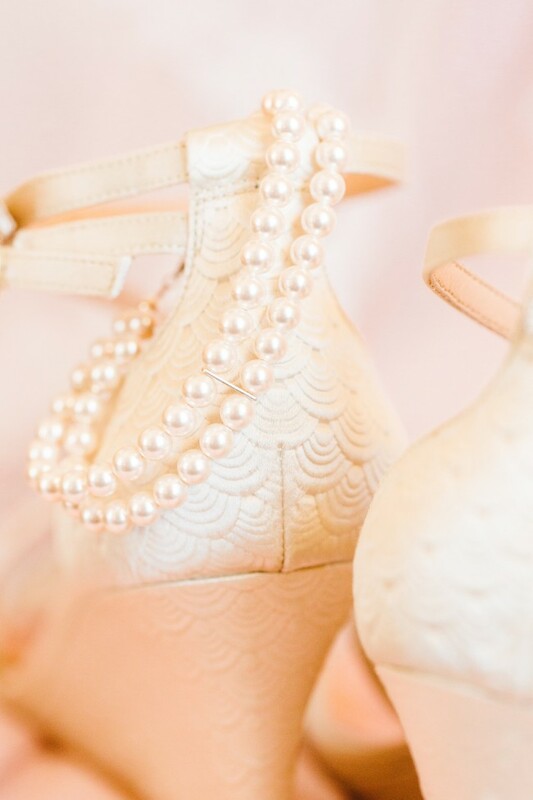 I’m more than a little obsessed with my most recent commission and I’m thrilled to highlight them on the blog today. 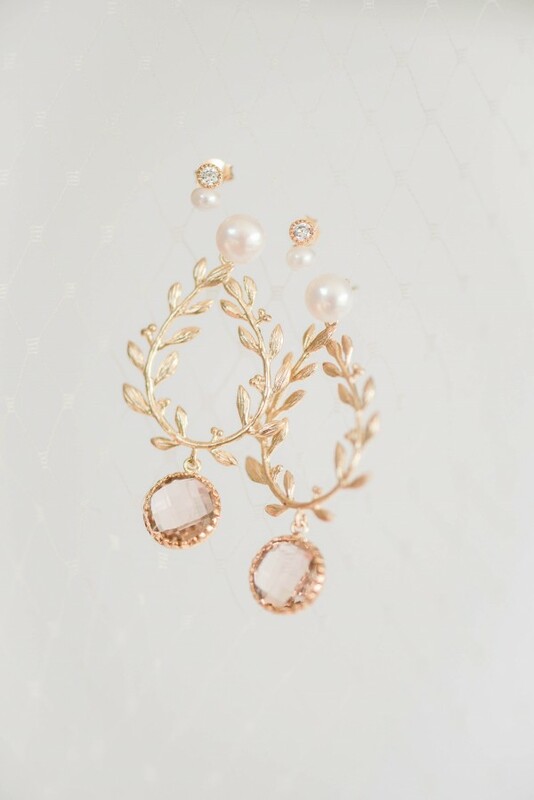 I made this set of custom wedding jewelry for Jill, a fellow creative entrepreneur and the designer behind Tomahawk Design Co. Like many of my clients, Jill has sensitive skin, which made the quality & type of metals I used to make her wedding jewelry a high priority. 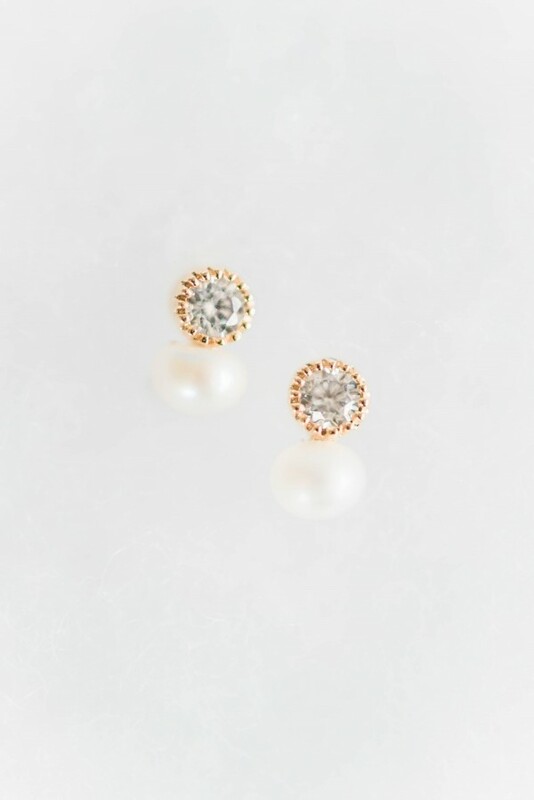 We opted for 16k gold plated earring posts, which I knew would ensure her comfort for the duration of her wedding day – from first look to last dance. 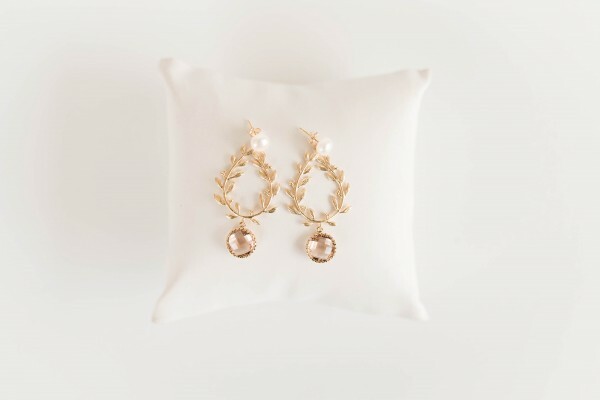 We also incorporated freshwater pearls in an adapted version of our Laurel Earrings in Gold & Blush and some tiny accent earrings for her second ear piercings. 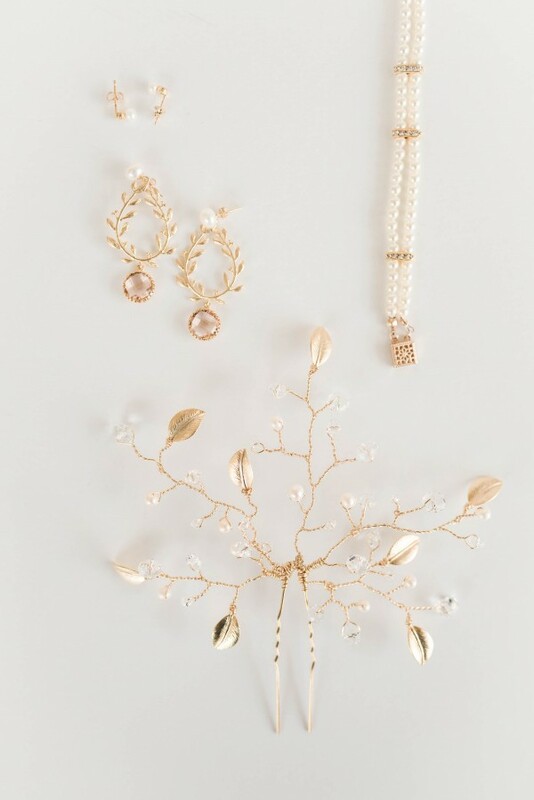 The set was made complete by a two-strand bracelet of Swarovski pearls with crystal and gold connectors. 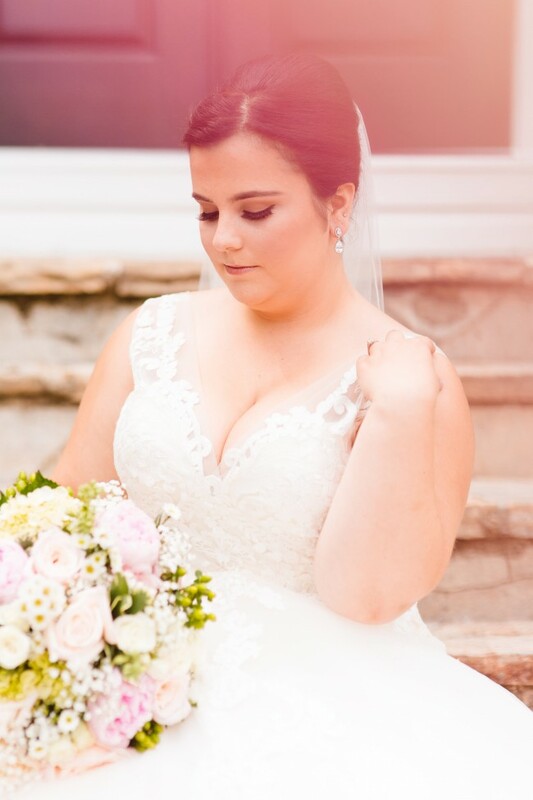 The finishing touch (and my favorite piece of the set!) 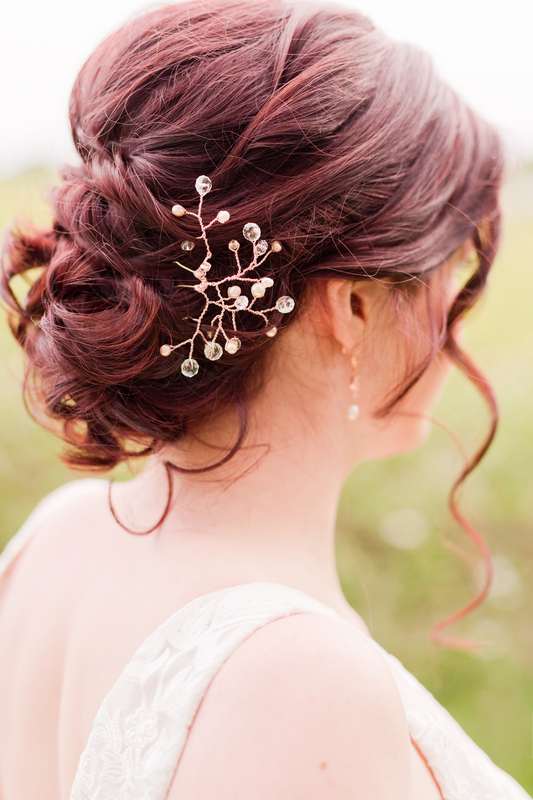 was Jill’s branch-y hairpin, which makes the perfect complement to the low, loose updo that she’ll wear on her wedding day. 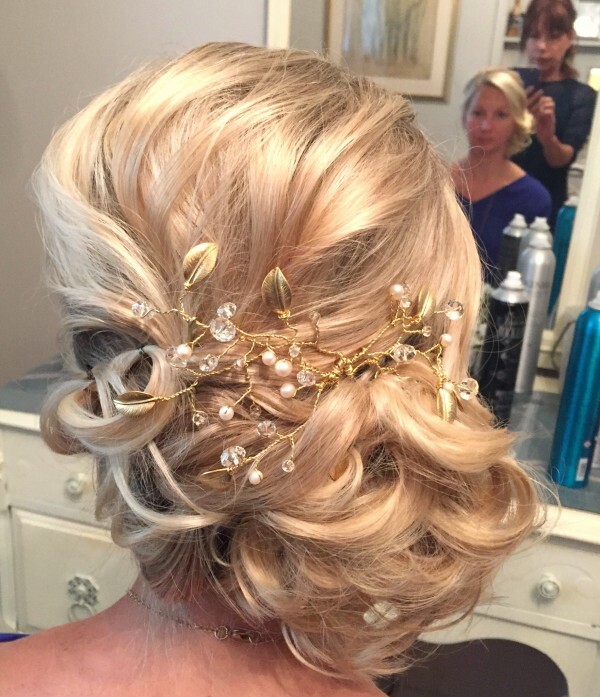 Scroll through to the bottom of the post for a sneak peek of Jill’s gorgeous hairstyle! 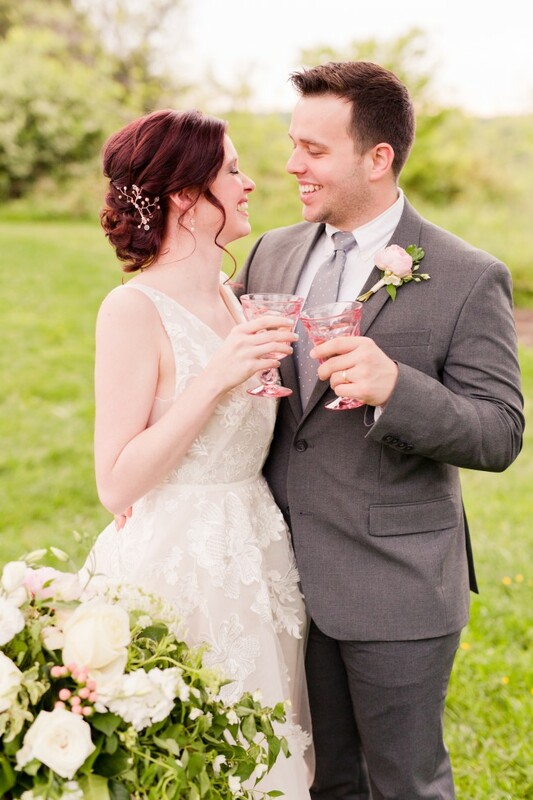 Congratulations to Jill (and Eric!) 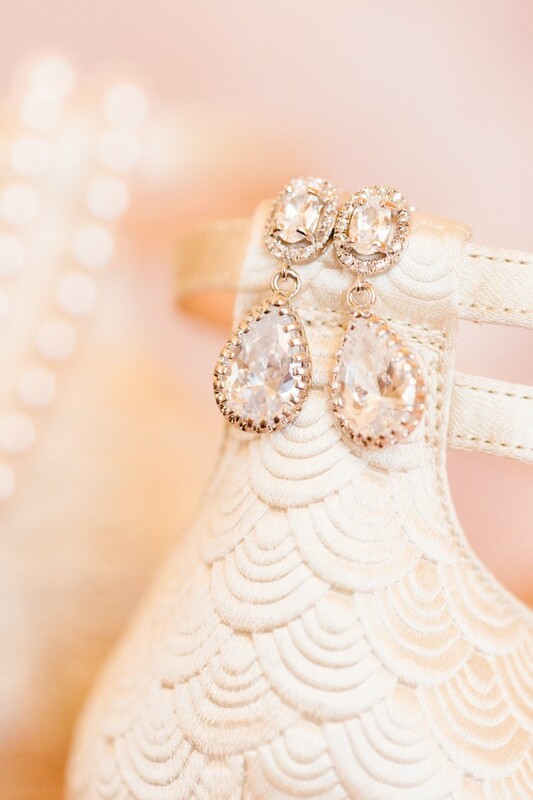 on her upcoming nuptials! 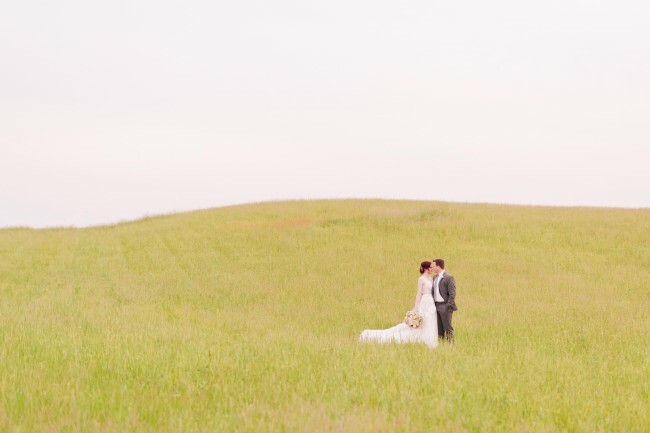 I can’t wait to share her entire look, complete with dress, veil, shoes, and other fabulous details, in a later post.